Carl Scheib, the youngest player ever in the history of the American League, passed away March 24, 2018 in San Antonio, Texas. He was 91. 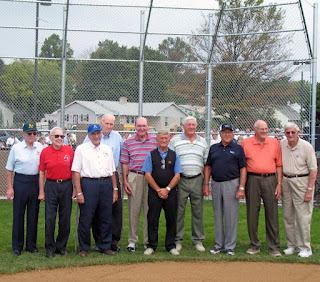 Scheib first tried out with the Philadelphia Athletics in 1942 at age 15 and the legendary Connie Mack told him to come back the next spring for another look. With the encouragement of his father, Scheib left high school after spring break in 1943 to sign with the A’s as a batting practice pitcher. As the World War II draft started to deplete the Athletics roster, Scheib’s prospects for being a major leaguer looked brighter. He started to travel with the team in the summer to away contests and after pitching well in an August exhibition game, Mack was ready to make history. “Don't you think it's about time?” Mack asked Scheib. On Monday September 6th, 1943, Mack signed Scheib to a contract right before they were to play a doubleheader against the New York Yankees. In the final inning of the second game, Scheib relieved with one out in the ninth, pitching two-thirds of an inning to close the contest. At the age of 16 years, 8 months, and 5 days, Scheib made history as the youngest player in the major leagues, a record he held until Joe Nuxhall took the mound for the Cincinnati Reds in 1944. Scheib proved he was not a publicity stunt, pitching respectably in five more games with a 4.34 ERA to finish off 1943. Mack decided to make good on his investment and brought Scheib along slowly in 1944, pitching him exclusively in relief for all 15 of his appearances. As 1945 approached, he hoped for an expanded role, but now that he was 18, Uncle Sam had different plans for the young hurler. Once his base commander discovered he pitched in the majors, Scheib was put on the base team. He continued to pitch with the 60th Reigment when he went overseas. When he returned to Philadelphia in 1947, he started an eight-year run as one of the most reliable pitchers on the A’s staff, appearing in 239 games as both a starter and reliever. As much as Mack valued Schieb on the mound, he also sparkled at the plate, batting a robust .298 in 1948 and a team leading .396 in 1951. As Mack tinkered with his pitching rotation and the A’s struggled at the hit, he looked to Scheib to boost the team’s offensive production. 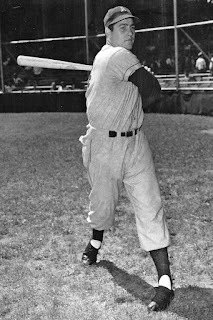 Coming off the bench as a pinch hitter when he wasn’t pitching, Scheib had two game-winning pinch hits in 1948, giving Mack the idea to try him in the outfield. During the last two games in 1948, Scheib started in the outfield, plating one runner in six at-bats. While the A’s continued to use Scheib as a pinch hitter, he never made another outfield appearance in the major leagues. He relished the opportunity to get another chance, but with pitching at a premium, the A’s could not afford to sacrifice his arm for his bat. In his 11 big league seasons, Scheib put up a 45-65 record in 267 games primarily for the A’s from 1943-1954, save for three games with the St. Louis Cardinals. After his baseball career, he ran a car wash for 12 years and then worked in sales and installations for the same car wash owner according to his SABR bio until his retirement at age sixty-two. In retirement, he was a fixture at the Philadelphia Athletics Historical Society reunions, and in 2016 he published his memoirs, “Wonder Boy - The Story of Carl Scheib” with author Lawrence Knorr.